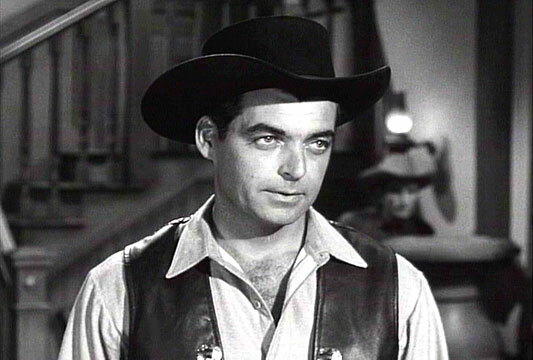 Rory Calhoun was an American actor who made a name for himself starring as the hero in B Westerns for several decades. Over the course of his illustrious career, he starred in more than 80 movies and 1,000 episodes of television. The story of his rise to fame is far from usual and this is one of the reasons he was beloved by the public at large. Rory went from a life of crime to become one of the most popular faces in Hollywood; this was after he encountered Alan Ladd, another popular American actor who died in January 1964. It is said that the former drew the attention of the latter; though Rory was only riding his horse in a Los Angeles park, Alan saw a star. The actor has appeared in numerous films and television episodes over the years. Some of his most prominent works include roles in The Texan, Capitol, Miraculous Journey, Adventure Island, With a Song in My Heart, Flight to Hong Kong, Gilligan’s Island, How to Marry a Millionaire, Pure Country, and Red Sundown. Rory has also enjoyed a prosperous career as a producer and screenwriter. If you check the records, you will find that this actor wasn’t named Rory Calhoun after he was birthed on the 8th of August, 1922; he was, in fact, named Francis Timothy McCown. His place of birth was in Los Angeles, California and he was born to Elizabeth Cuthbert and an Irish professional gambler named James McCown. His father died when he was barely 10 months old and his mother remarried. Growing up, Rory sometimes referred to himself as Frank Durgin, adopting his stepfather’s name. As a young boy, he had a troubled childhood and experienced frequent run-ins with the law. He stole, robbed, and committed all sorts of petty crimes. When he was 13, he was arrested for stealing a revolver, and the judge sent him to Preston School of Industry Reformatory, where he later escaped from. He continued his illegal activities, expanding his crimes to robbing jewelry stores, and hotwiring cars. When he was 17, he decided to rid himself of his step-father’s abusive nature so he stole a car and drove it across state lines. This was a felonious offense, and he was sentenced to three years in prison for it. The troubled young man was paroled a short while before he turned 21. This time around, he took up several odd jobs like working as a mechanic, a rock miner, a cowboy, a wood logger, a forest firefighter, a truck driver, and a crane operator. Luck shined on him when Alan Ladd noticed him one day in January 1944 while he was riding a horse. The actor then introduced him to his wife, Sue Carol, who worked as an agent, and she set him up for a screen test with 20th Century Fox. This led to Rory being cast in a number of small and often uncredited roles in films like Something for the Boys, The Bullfighters, Where Do We Go from Here?, Sunday Dinner for a Soldier, and The Great John L.
Later, Alan Ladd and his wife Sue threw a party where they introduced him to an agent who worked for David O. Selznick’s company Vanguard. He signed a contract with the company and his name was changed from Francis McCown to Rory Calhoun. The young actor faced jail time once again after he punched a detective in 1945. After he was released, he continued his contract with Vanguard, making public appearances with known stars and doing screen tests from time to time. Although he didn’t appear in any of Vanguard’s productions, he was loaned out a year later to play a small role in The Red House, then the lead in Adventure Island, Sand, and That Hagen Girl. In 1949, he was loaned again to the Warner Brothers and played the lead in their movies Return of the Frontiersman and County Fair. Rory then signed with 20th Century Fox, for whom he appeared in Ticket to Tomahawk, I’d Climb the Highest Mountain, Rogue River, and With a Song in My Heart. By this time, Rory was already a well-known face in the Western movie genre. He went on to star in The Silver Whip, Powder River, How to Marry a Millionaire, River of No Return. The actor took his talents to Universal where he featured in Four Guns to the Border, Ain’t Misbehavin’, The Looters, The Spoilers, Raw Edge, and Shotgun. As a producer, Rory Calhoun has a number of movies to his credit such as Flight to Hong Kong, Domino Kid, Utah Blaine, Ride Out for Revenge, The Hired Gun, Apache Territory, and The Big Caper. Rory is also known for his role as Bill Longley in the television series The Texan. His other television credits include Zane Grey Theatre, Bonanza, Death Valley Days, and Capitol. His final role was in 1992 when he played Ernest Tucker in Pure Country. Rory was a legendary actor, and his personal life was also the stuff of legends. He married Lita Baron in 1948 and they had a daughter, but the marriage lasted till 1970 because his wife filed for divorce citing his adulterous relationships with 79 women including Betty Grable as grounds for ending the marriage. When asked about these affairs, Rory responded that she didn’t even include half of them. He began dating actress Vitina Marcus, with whom he also had a daughter. Later, the actor married Sue Rhodes, a journalist, in 1982. The couple had one daughter together. See Also: Ethan Sandler – Biography and Profile, Is He Related To Adam Sandler? 1. 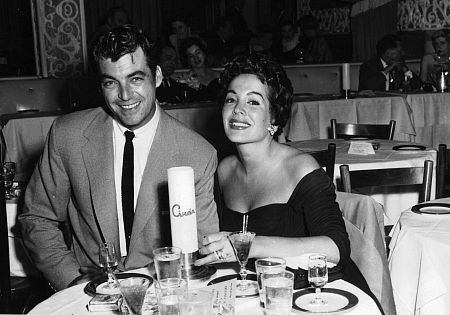 Rory Calhoun joined the Hollywood Walk of Fame in 1960. He received two stars for his contributions to television and film. 2. He was a registered member of the Republican Party. 3. Rory was best of friends with Guy Madison, and the pair regularly went on hunting and fishing trips. 4. The iconic movie star passed away on April 28, 1999, aged 76. Diabetes and emphysema were listed as the causes of his death.